Natural disasters and other emergency situations can be scary, especially for children. Do each of your family members know what to do if the power goes out, a hurricane siren sounds or a fire starts? Prepare today to handle these and other emergencies as you keep your family safe. 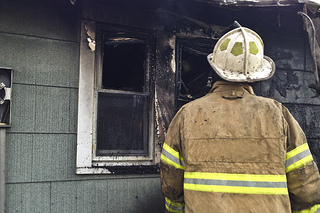 Don't wait until a fire starts to figure out how everyone will get out of the house safely. Plan an evacuation route and then practice at least once a year. Make sure everyone can get out safely from every room in the house. You'll also want to establish a meeting spot somewhere nearby. Teach your kids their address and important phone numbers too so that they can contact you if you get separated. You might assume that you'll have time to grab essential items during an evacuation, but you might not have time. Be prepared with packed backpacks in the closet near the front door. The packs include a change of clothing, a warm jacket, copies of ID and medicine prescriptions, cash, toiletries, first aid supplies, food, water bottles and a cellphone. If the power goes out, be ready with a generator, your backpacks and a sealed bin of supplies. The bin include a battery powered radio, flashlight, small tool kit, matches, food, several gallons of water, a manual can opener, small bucket and wet wipes. Replace the batteries and refresh the supplies twice a year when you change the clocks and inspect your home's smoke detector batteries. You don't want to think about emergencies, but they're a reality of life. Take time today to prepare your home and family for emergencies, and increase your safety and peace of mind.